Self-limiting disease. Most cases may not need any medicine. 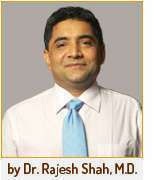 Homeopathy is recommended in resistant cases. Tinea alba is a skin condition of unknown cause which usually affects children and young adults characterized by round or oval hypo-pigmented patches on face with very fine scales. It is self limiting disease and it is not contagious. There is no known cause for Tinea alba. It mainly affects children and young adults characterized by round or oval hypo-pigmented patches (1-4cm) mostly on the face with very fine scales. Occasionally, it may be associated with mild itching. 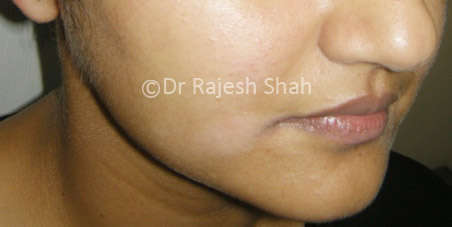 Pityriasis Alba becomes worse in summer season; it becomes more prominent as the skin tans in the surrounding area due to sun exposure. Although the condition typically lasts six to twele months or more without treatment, Pityriasis Alba usually resolves after puberty or by the time the child reaches adulthood. Usually treatment is not required as it gets settled down on its own. Patients are suggested to keep away from harsh sunlight. Also, swimming may be avoided to avoid prominent look of the spots on face; as chlorine in pool water could lead to tanning. Primarily treatment consists of good skin care and applications of moisturizer. If there is redness or itching then steroid based cream is prescribed. Lesions become prominent in sun exposure, so to reduce the discrepancy sunscreen creams are recommended. In resistant cases, some homeopathic medicines help recovery. Homeopathy is recommended if the disease does not self-recover in about three months. Bacillinum: Sourced over one hundred years ago from tubercular organisms, this medicines is a safe and effective bet for treating resistant cases of viral and fungus infections on skin including Tinea alba, Tinea corporis, Tinea Versicolor and the like. Infrequent doses are usually administered and one would expect results in six-week time.